Maintaining your health never had quite so much fun flavor! This liquid supplement from Bio Navitus provides three important minerals and complementary nutrients with a splash of coconut and orange. 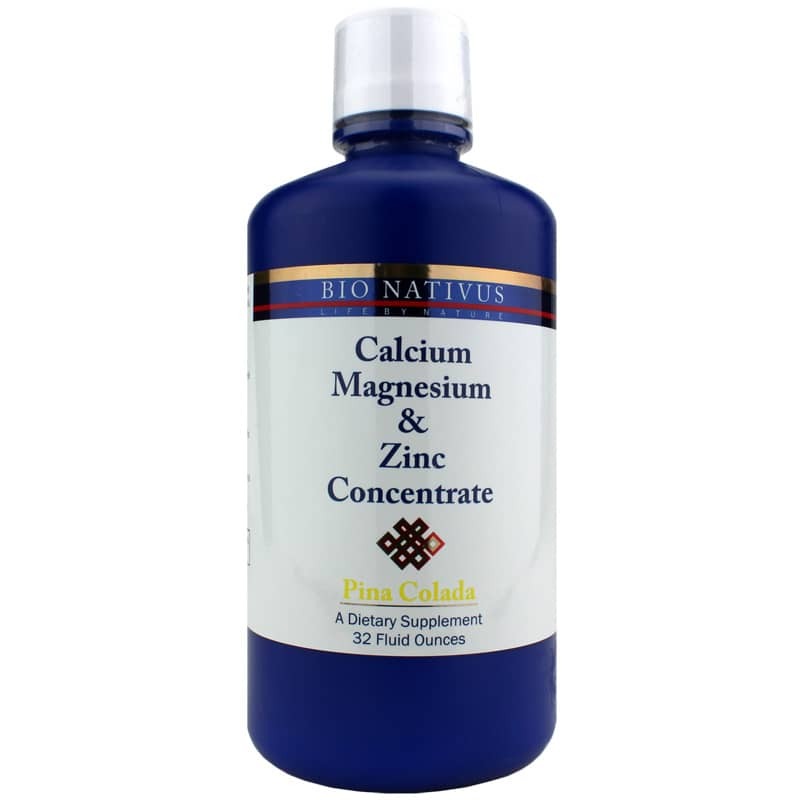 This Calcium Magnesium and Zinc Concentrate tastes like pina colada, but it's also packed with nourishment. In addition to the calcium, zinc and magnesium, you'll be getting even more minerals from the trademarked Trace Mineral Drop Complex. TMD is made with sea minerals harvested from the Great Salt Lake. Plus, Vitamin D3 is included to enhance calcium absorption. This formula is designed to provide your body with the right nutrients for healthy bones. But they can also support other aspects of your health. For instance, zinc is an important mineral for your immune system and provides many other benefits. Calcium is involved in life-sustaining nerve impulses and muscles contractions, such as those of the heart and kidneys. The Tri-Calcium phosphate in this supplement delivers three forms of calcium for better absorption. In addition to working with calcium to build bones, magnesium can support the health of your heart, improve energy production and have a positive impact on mood. This is a nutrient that the majority of American's fail to get enough of. Looking for an all-encompassing bone health supplement? Choose one that tastes fun and gets the job done. 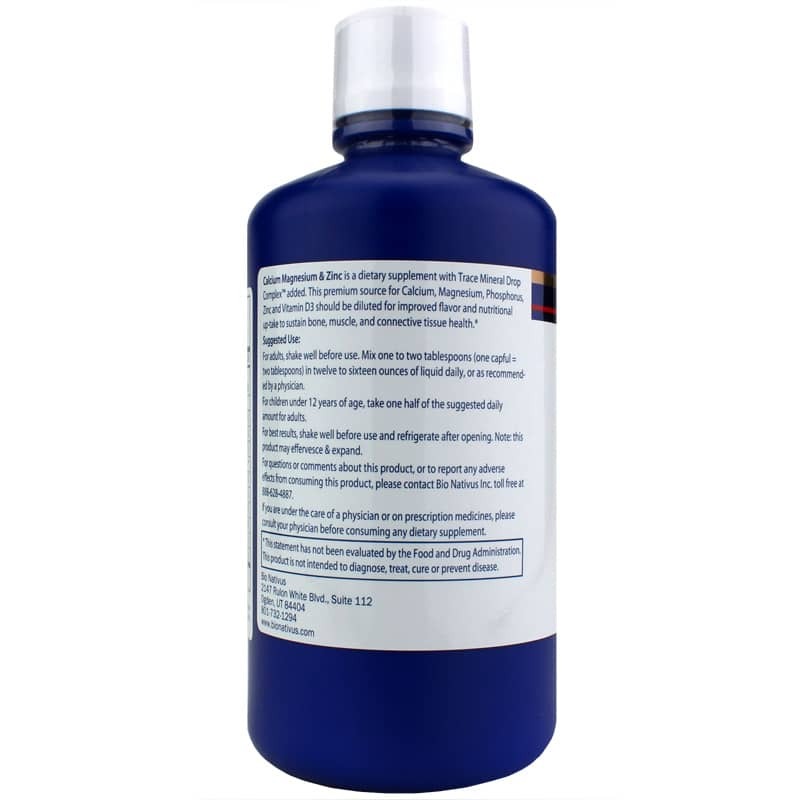 Order Calcium Magnesium and Zinc Concentrate from Bio Nativus today! Other Ingredients: purified water, natural flavors blend, citric acid, xanthan gum, potassium sorbate (for freshness), stevia (leaf) extract. 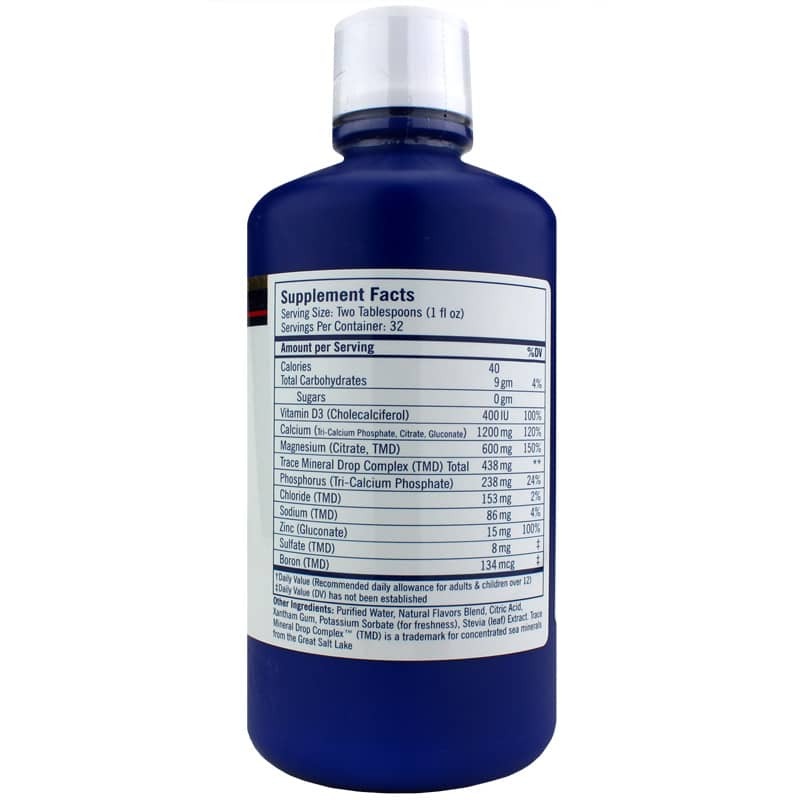 Trace Mineral Drop Complex (TMD) is a trademark for concentrated sea minerals from the Great Salt Lake. For best results, shake well before use and refrigerate after opening. Adults: Shake well before use. Mix one to two tablespoons in twelve to sixteen ounces of liquid daily or as recommended by a physician. Children under 12 years of age: Take one half the suggest daily amount for adults. If you are pregnant, nursing, taking medications, have a medical condition, or under the care of a physician, please consult your physician before taking any dietary supplement. Keep out of the reach of children. Received my recent order within 3 days. Very prompt and professional.